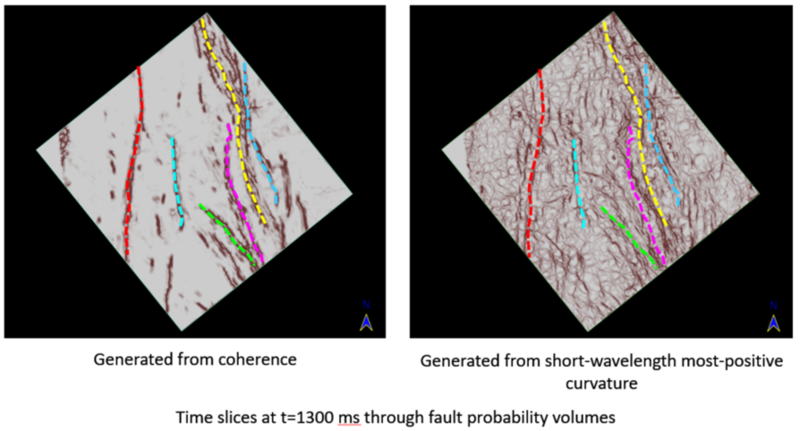 The interpretation of faults/fractures on 3D seismic data is aided by the use of geometric attributes such as coherence and curvature. Unfortunately, these same attributes also delineate stratigraphic boundaries (geologic signal) and apparent discontinuities due to crosscutting seismic noise. 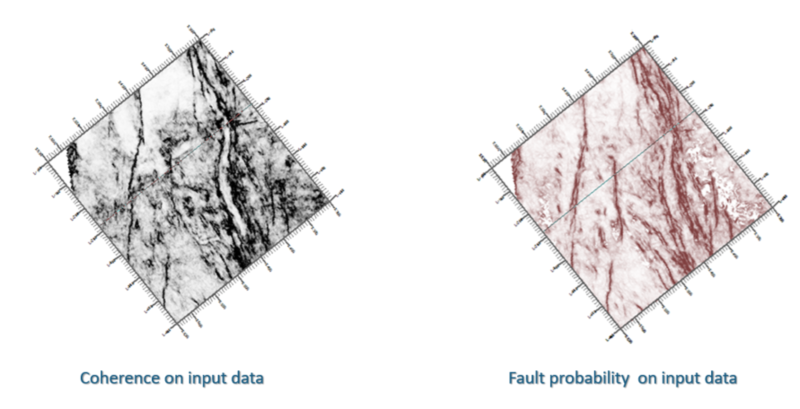 Effective fault/fracture mapping thus requires enhancing piecewise continuous faults and suppressing stratabound edges, unconformities, and seismic noise. 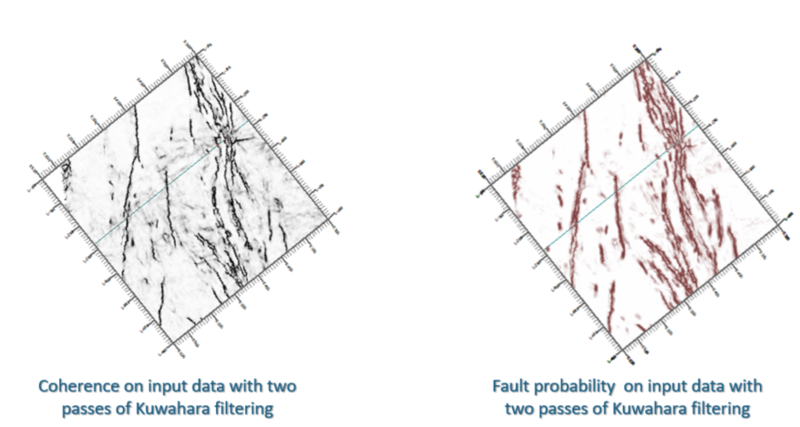 To achieve this objective, we apply two passes of edge-preserving structure-oriented filtering for preconditioning the seismic data followed by directional smoothing and a recently developed edge enhancement algorithm based on a directional Laplacian of a Gaussian operator. 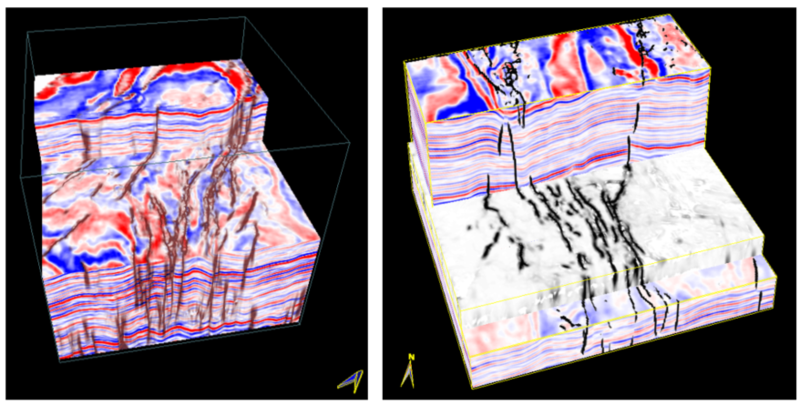 Geological features such as faults/fractures are enhanced with this process and lead to more effective interpretation. Seismic volume after TWO-passes of Kuwahara structure-oriented filtering cornered with fault probability volume using transparency. Al-Dossary, S., and K. J. Marfurt, 2006, 3-D volumetric multispectral estimates of reflector curvature and rotation: Geophysics, 71, 41–51. Chopra, S., and K. J. Marfurt, 2007, Seismic attributes for prospect identification and reservoir characterization, Geophysical Development Series, SEG. Roberts, A., 2001, Curvature attributes and their application to 3D interpreted horizons. First Break, 19, 85–99.